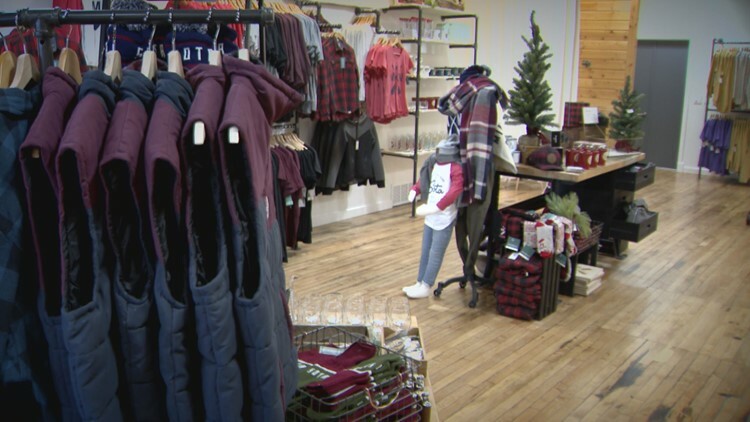 The popular Minnesota-based brand will have a storefront for Black Friday and Small Business Saturday for the first time this year. ST. LOUIS PARK, Minn. - Over the last seven years, Sota Clothing has grown into one of Minnesota's most popular small businesses. Now, it has a place to officially call home. 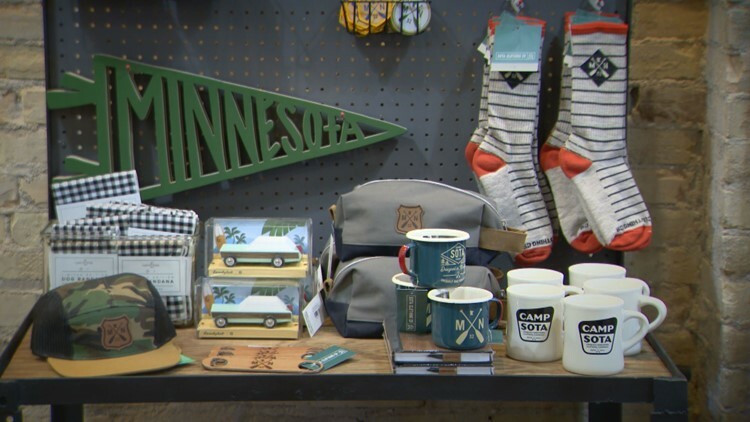 The clothing and accessory company, that sells Minnesota-themed products, has opened its first store in St. Louis Park. The building also houses its warehouse and offices. "The big thing for us was whenever we did pop-ups, everyone was like, 'Where's your location?'" explained Spencer Johnson, owner of Sota Clothing. "So it's a good way for us to connect with our customers." Sota Clothing started as Johnson's school project at the University of Minnesota Duluth in 2011. From there, it's grown into a beloved Minnesota brand. You've probably seen its main design: a pair of crossed oars with the letters "MN" and the state's outline. "I think really for us is we try to keep it clean and simple," Johnson said. "It's funny that the simpler it is, the more thought you have to put into it. So we like to think that our designs are very thoughtful." Inside his new store, Johnson isn't just selling Sota Clothing shirts and accessories. He's also partnered with several local businesses to sell their products as well, including 'Sota Cracklers candles, Adam Turman and Lucy and Co.
"To be able to live in Minnesota, you really do have a lot of pride, because it can be tough at times," said Johnson. "So we kind of want that to reflect through the clothing. And also, when you wear it around the different states across the country, you kind of wear it as a badge of honor." Sota Clothing will be open all weekend for holiday shopping, and will be offering a discount of 15-35 percent off on various items. For store hours and more information, visit the Sota Clothing website here.